Building upon our successes in the online Gift Voucher and Gift Card market, we were delighted to win a very tough pitch scenario against some stiff competition. Ultimately though, it was a no-brainer choice for the Society Of London Theatre's digital team (based in Covent Garden, the heart of London Theatre land), only one agency had the capability and proven track record to make sense of, and deliver to a very complex brief. This is where Reuben truly excels, when the project involves many personalities, the need to team up with multiple internal and external agencies, deep tech, integrations with multiple fulfilment channels for both e-Gift and Plastic Gift Card solutions, online ordering, advance e-CRM and digital marketing. Suffice to say, it was a big project delivering big rewards and returns to a delighted client. 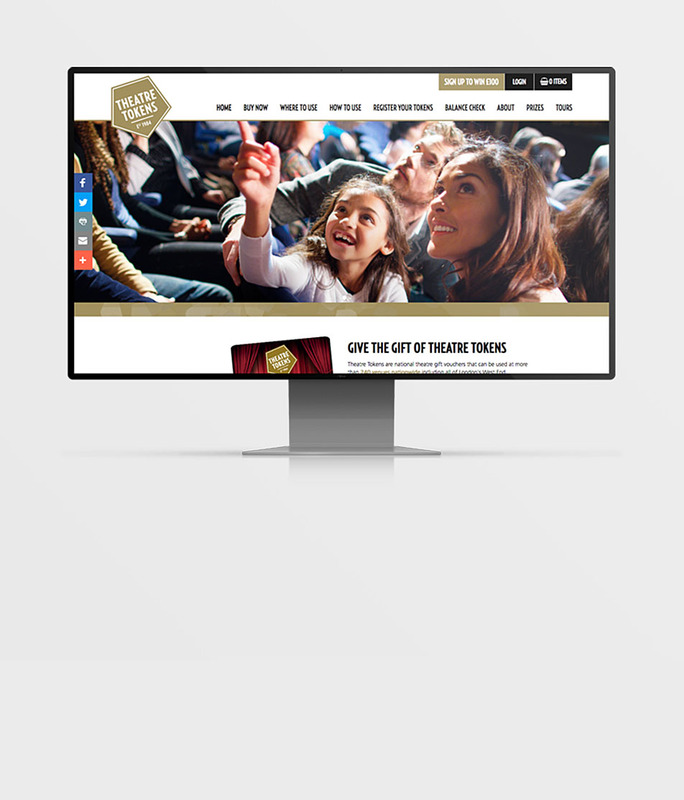 As soon as a user signs up to the Theatre Tokens website, Reuben’s automated communication strategy kicks in. 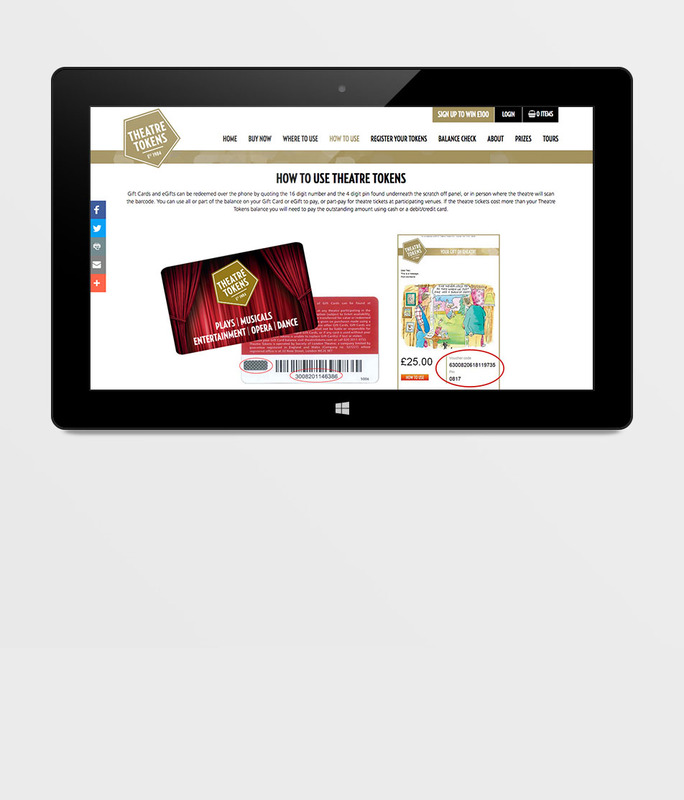 Registered users receive a welcome email and then regular updates on rewards, giveaways, offers from their local theatres, what's-on event listings, maybe even a free coffee or wine. 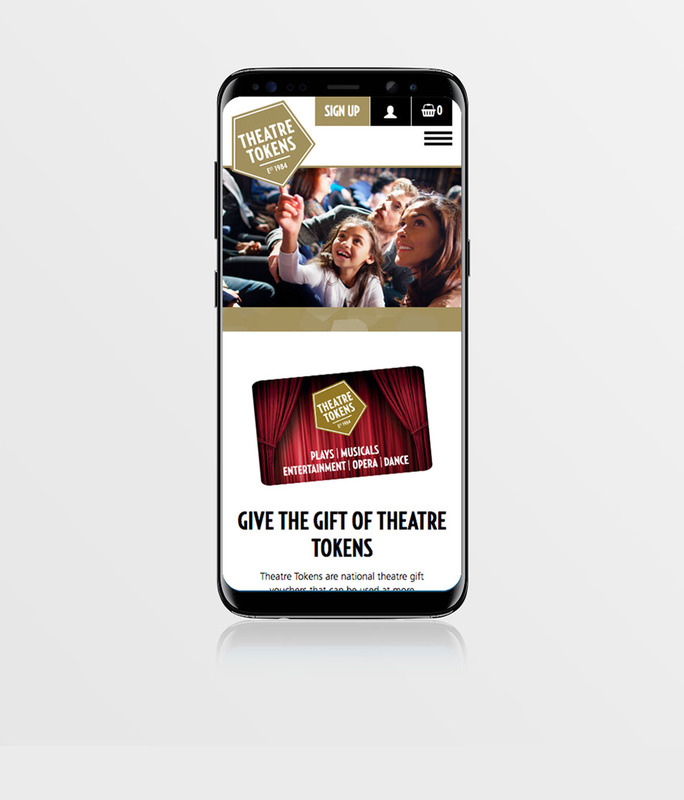 Think of it as Groupon for theatres, but underpinned by more intelligent choices; all based on the user’s purchasing history and postcode (many of the offers come directly from local theatres who simply log in and post their own updates). Launched in the summer of 2017, to the delight of our client, online sales have exploded, especially e-Gift's, with tens of thousands of orders - phenomenal. Key project disciplines: Website build & design, online gift card & voucher sales, e-CRM strategy, e-Commerce, postcode search & Google mapping, database integration & API development, data-mining, social media strategy, SEO.